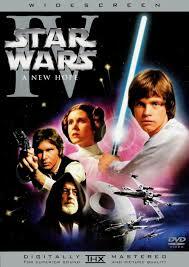 Star Wars is probably one of those really iconic film series. I remember I used to be addicted to watching them over and over again when I was much younger. I adored watching them. And I collected loads of figures, too, which I’ve since misplaced, which is a little annoying. Anyway. I watched episode IV tonight for the first time in a long time – and I remembered why I liked it so much. The words moving across the screen do a really good job of setting the scene and the film opens straight into the action. This certainly isn’t boring to watch. This film is a little simple in that the bad guys are quite obviously the bad guys. Despite the little rounding out of the villains, though, I liked the characters – or at least the good guys. 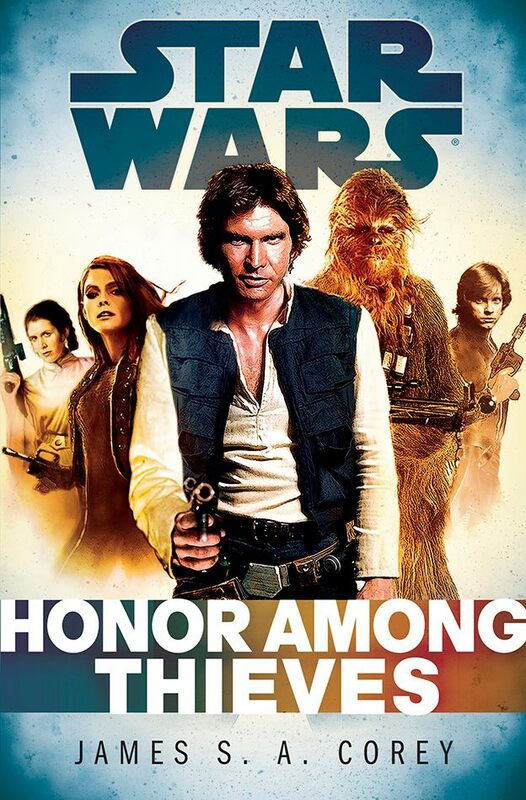 Han Solo was particularly interesting. He does fulfill one of the stereotypes for characters, but the actor does a particularly good job with playing the character. I think all of the actors do really good jobs in this. The different alien species are really creative and the different languages are fairly good, too. I particularly like C-3PO and R2-D2. I like the fact that the droids have their own personalities and that R2-D2, particularly, is quite sneaky. The special effects are pretty mild compared to special effects in films nowadays, but I still think they worked quite well. Star Wars is old, but in my opinion, it’s still a good film series to watch – at least the original trilogy – with actors who do a really good job with the characters they play and an engaging plot. I would recommend this to people who like science fiction. (I received a free copy of this book from Random House Publishing, through NetGalley, in exchange for a review). I remember watching the Star Wars movies when I was really long. I’ve read a lot of tie-in novels between now and then – all of which ranged from good to bad. I have a few mixed feelings about this book. I really liked seeing the characters from the original films again. I’d almost forgotten what it was like to see a younger, more innocent Luke Skywalker. There were a couple of things that I didn’t think worked very well. For instance, there was reference made to a starting gun – which doesn’t work in a Star Wars universe. And Han says, ‘booze’ in reference to alcohol. That’s a current-time affectation. I did like Scarlet, to an extent, but she seemed almost a bit too… perfect, in a way. Too good at what she was doing. In some ways, she seemed like a female Han Solo. I liked seeing Leia in this book and it was good to see Chewie and his banter with Han. The issue, of course, was that there was very little tension with the main characters – since the readers know they’re in the next two films (and multiple books) of course. I liked the appearance of other aliens in this and the technology. It was also good to see someone Han had known when he was a smuggler. What happened was really sad, but probably the only way it could have done and made sense. This book has made me really want to watch the Star Wars films again. I’ll probably do that fairly soon. (I received a free copy of this book from Diamond BookDistributors, through NetGalley, in exchange for a review). Star Wars has always been one of my favourite things, ever since I can remember. I don’t know when I first watched the original trilogy, but I have all sorts of memories of watching and re-watching it. And I remember reading loads of tie-in novels, as well as listening to at least one audio tape. I think this might be the first Star Wars thing I’ve read that’s set quite far in the future. It was really interesting to see a future Skywalker, though I’m not sure I could say Cade is a really likable character. The artwork was good, but I felt that, in some places, it was a bit too strong in the drawings. I felt that the female characters had fairly masculine looks about them. In a way, I also felt that this mirrored the original series quite a lot. The whole Dark Side and Light Side thing has kind of become more guidelines than hard and fast rules, though. Characters seem able to toe the line between them – and it also seems very black and white, with no grey areas. (If you kill someone with Force Choke or with a lightsabre, it doesn’t matter how you did it… they’re still dead). Cade was still an interesting character and I did like his relationships with the other characters. I did also like the ending of this book. It was an entertaining read, though I did have to squint a bit to read some of the speech. Although this was the third book, I did find it fairly easy to understand. 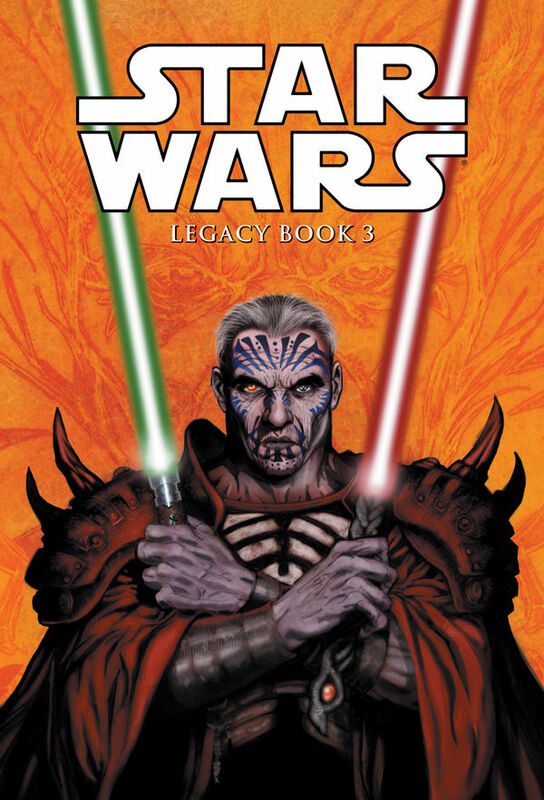 I think I’d definitely check out other comics/graphic novels set in the Star Wars universe in the future. I really liked seeing the glimpses of Luke in this book, too.